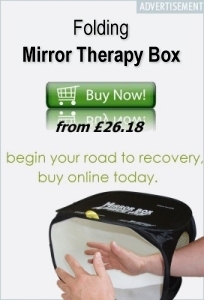 Prior to beginning the FRP I was a little skeptical about mirror and mirror box therapy. I had also never tried it. During my physical therapy I did mirror therapy for 10 minutes 2/3 times a day. I had researched this therapy prior to ever trying it, but it seemed almost too good to be true. Since graduating from the Functional Restoration Program I do this at home. It is what helped me increased my entire range of motion. Try to suspend any disbelief. This technique tricks the brain and it really does work. Stare at the reflection in the mirror for 2 straight minutes. Start raising your toes (your good side) and take your time, there is no rush. After 10 minutes.. stop. Try again the next day. You may get some pain from this and that is because it does actually work. 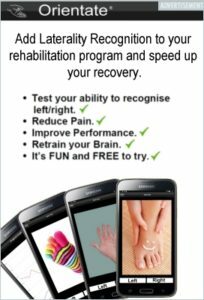 You will move muscles, bones, etc that you Haven’t used or tried to use because of the RSD pain. The same concept. There are mirror boxes actually sold for this.